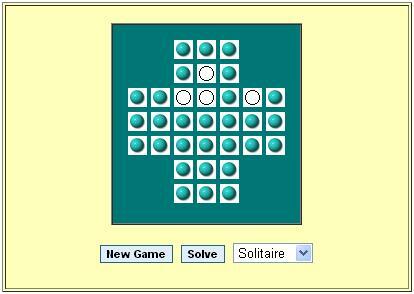 Dots Make more boxes than the computer to win this interactive. 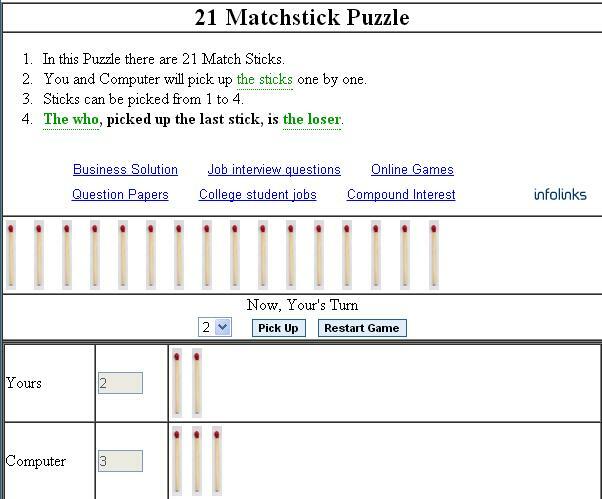 In this Puzzle there are 21 Match Sticks. You and Computer will pick up the sticks one by one. Sticks can be picked from 1 to 4. The who, picked up the last stick, is the loser. 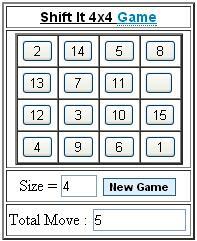 The Mind Reader Game This Game Will Give You The Number That You Have Guessed. 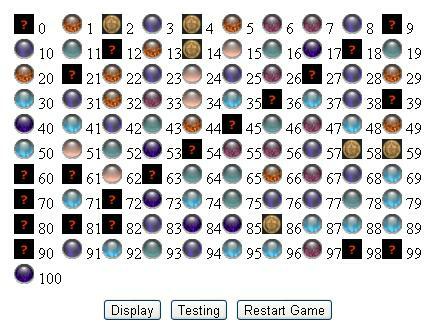 Try to put all the nos is ascending order. 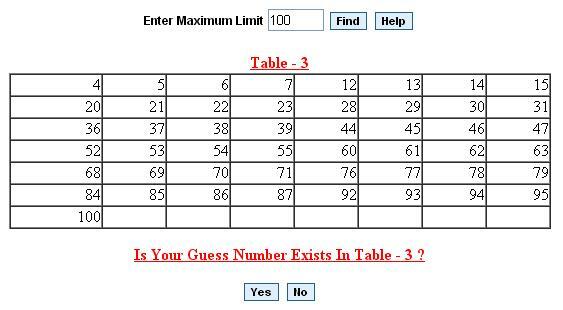 Please guess a number between 1 to 99. Then find reverse number of it. Substract smaller number from bigger number. 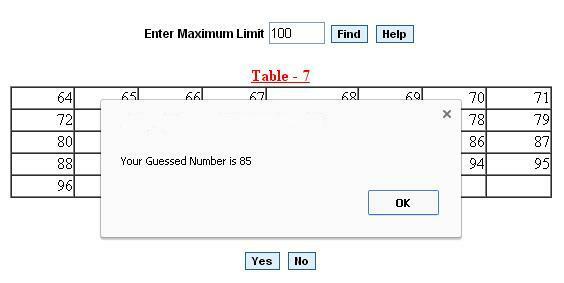 Check the answer in the figure below. Now computer will show that picture to you. 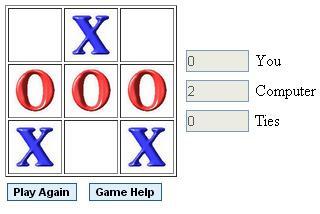 Tic-Tac-Toe An interactive game of good old tic-tac-toe. 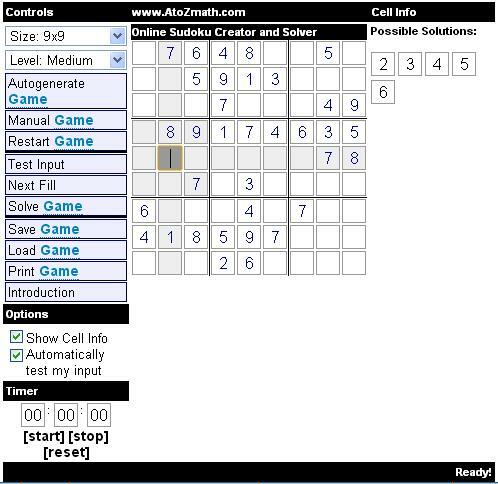 Automatic scoring and alternating "first moves" are built in. 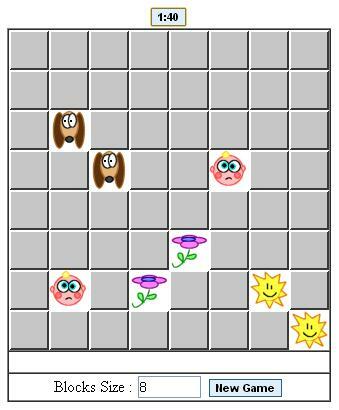 The classic memory game : Concentration. 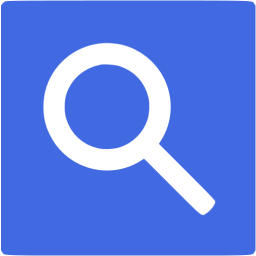 Uncover all the blocks by successfully matching the image pairs. Lights Out Try to eliminate all the boxes to win. 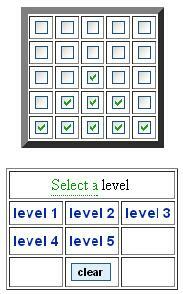 When you check a box, all the squares around it (one above, one below, and one to each side) are unselected. 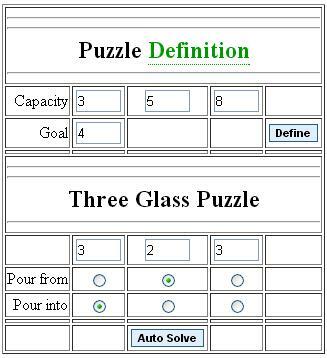 You can play in five different levels of difficulty. Addictive! You have 3, 5 and 8 litre milk container, each container has no markings except for that which gives you it's total volume. You have a 8 litre containter full of milk. You must use the containers in such away as to exactly measure out 4 litres of milk. How is this done? 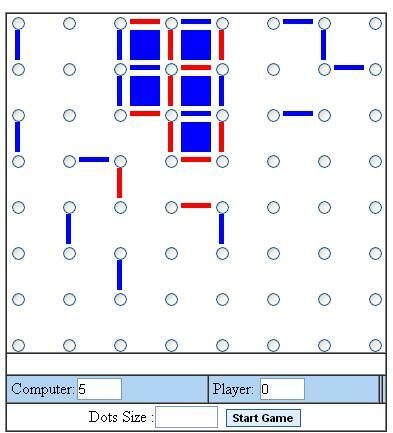 Try to clear the board by jumping pegs over other pegs. The "jumped" peg will be removed from the field. 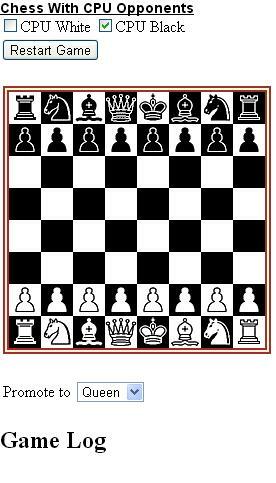 If there's more then one move available, just choose which move you would like to do. 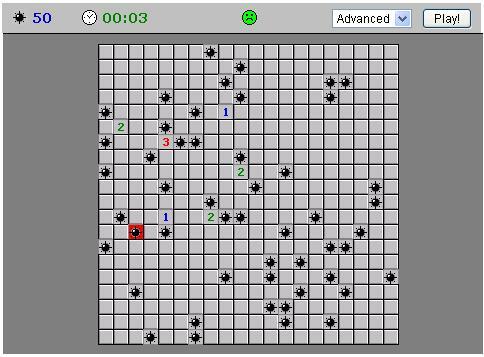 You win by getting it down to just one peg (The best solution is with this peg in the center). Tower of Hanoi Try to move all the disks onto another pole. Thing is, you can only move one disk at a time and you must follow size order (a bigger disk can't go on a smaller disk). Good luck!